Jan Sterling rides a bike. 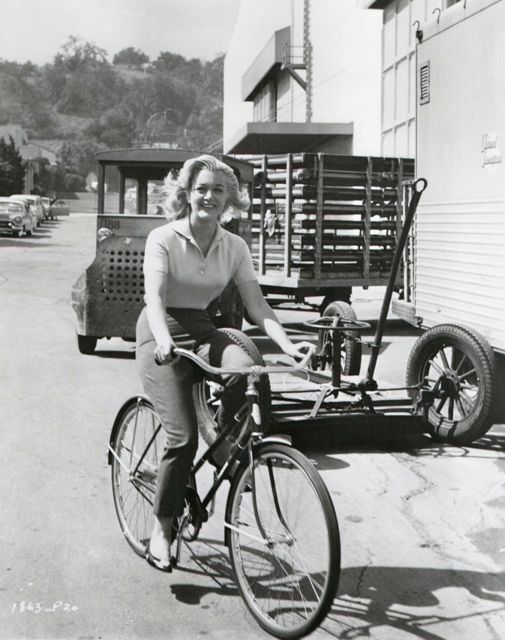 Jan Sterling cycling around the Universal backlot, on a break from shooting Kathy O’, the 1958 comedy about a child star (Patty McCormack) and the reporter (Sterling) who breaks through the movie publicist’s plot to hide the kid actress’ real mega-bratty personality. They don’t make ’em like they used to.